John can provide smoking cessation hypnotherapy in Peterborough. 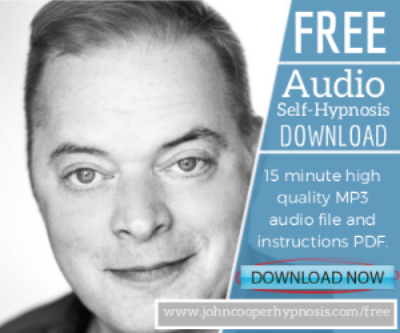 Using a curative hypnotherapy approach combined with advanced NLP techniques he has helped many people overcome their smoking habits and live healthier lives. People start smoking for lots of different reasons. To look cool, to rebel against your parents or to fit in with your friends. There are a thousand different reasons and chances are you’ve probably forgotten why you even started. If you’ve been puffing away for a long time then it will have become a deeply entrenched habit, a behaviour that has wrapped itself around your identity. You will have formed beliefs about what smoking gives you and what it takes away. Some people think that it is a physical addiction and therefore just like taking heroin. It really isn’t, the physical withdrawal lasts only a few days. That’s why patches and vaping often don’t work for long. The addiction is one of the unconscious mind. That’s why hypnosis is so effective. Addiction of any kind can be very confusing for the brain. On one hand you’re desperate to stop and on the other you keep buying them. This inner conflict goes on under the surface of your conscious thinking so you are constantly at war. You feel bad buying them and good when you light up. Then guilty when you put it out. This inner conflict is a hypnotherapist’s starting point. In a trance state we work on getting the different parts of your mind to agree to make changes, to work as a team. The rebellion you used as a young smoker we turn against the cigarettes and see them for what they are- a parasite feeding off you. Smoking cigarettes is a behaviour - you smoke cigarettes, you are not a smoker. It isn’t who you fundamentally are. I eat spaghetti but I wouldn’t introduce myself at parties as ‘a spaghetti eater’. Not that I go to parties. Addictions are patterns, loops and structures that can be broken down and changed. It’s much easier to quit when you have someone in your corner helping you. I support with an e-book to read before we meet, a self-hypnosis mp3 to listen to between sessions and support after. You don’t have to beat smoking on your own. Whatever it is that you are addicted to, you are using something to cover up your pain. I can help you break free and be the best version of yourself.